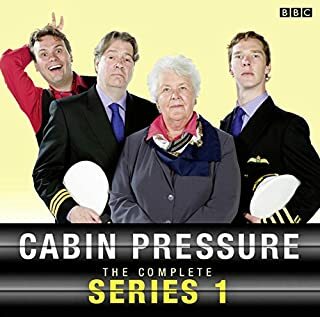 Stephanie Cole (Doc Martin), Benedict Cumberbatch, and Roger Allam (The Thick of It) star in the complete second series of the hit sitcom about the pilots of a tiny charter airline for whom no job is too small, but many, many jobs are too difficult. Run by the forbidding divorcée Carolyn Knapp-Shappey (an unfortunate marriage, namewise, but in Carolyn's opinion, marginally better than Carolyn Shappey-Knapp), her two pilots are the smooth, experienced, and almost-certainly-fired-by-a-big-airline-for-all-around naughtiness Douglas, and struggling, almost competent Martin. All-round help is provided by Carolyn's near-idiot son, Arthur. 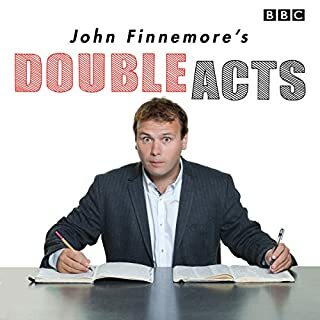 Written by John Finnemore, writer for The News Quiz and That Mitchell & Webb Sound. 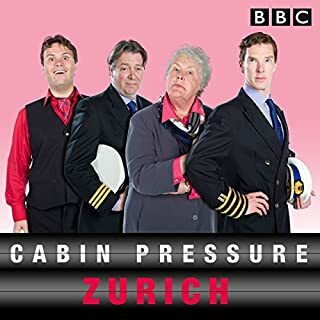 Cabin Pressure is the best new UK comedy series I've found on Audible. Stephanie Cole and Roger Allam are both fantastic, and the other players are fine as well. The writing is crisp and fun, as well as intelligent and largely free of coarseness. Any listener with a sense of humor will enjoy this download. Don't forget to get series 1 as well. You will be charmed, I promise you! The second series is as strong as the first. I love the second episode and the revelation about Martin. He is portrayed so fantastically by Benedict Cumberbatch. He could easily be a ridiculous and unsympathetic laughingstock but as voiced by Cumberbatch, his yearnings and frustrations are as real as his shortcomings and I just want to give him a hug! The Johannesburg and Kuala Lumpur episodes are both classics as well. This is one of the best radio plays I've ever listened to. I only planned to listen to each individual episode at a time, but ended up listening to the entire series. Made me laugh so hard I couldn't walk! 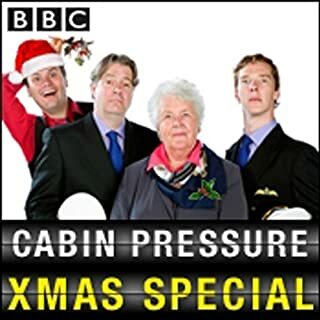 What did you love best about Cabin Pressure? Oh, it's hard to pick just one thing - the clever, hysterically funny writing, the performances or the way it changes the way you look at everyday life? There were many stories. And they were all funny and witty and clever. I love that! 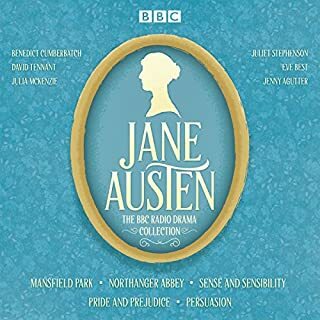 Each narrator provided depth and nuances that broadened the characters and made them into people rather than just caricatures. The comic delivery had me staggering around the park laughing seemingly to myself on my daily walk as I listened. I am so jealous of the UK for getting new episodes first. I already have! 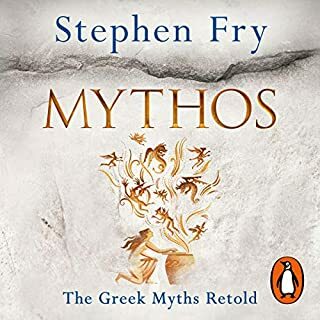 I have recommended this to a bunch of friends most of them love it, a few aren't crazy about it but still acknowledge it's funniness. um Martin. His preeminence to failure despite his efforts creates great conflict. You Won't Regret Getting This! Nothing was lost in terms of quality in series 2. This is an hilarious show with truly excellent characters and simple, but funny plot lines that are character driven. I highly recommend. You will laugh. I bought the fourth series on a deal of the day special, and got hooked five minutes into it. An all together awesome series. My cousin suggested this, my mother bought it for me as a gift, and I sincerely loved every moment of it. I hope there is/will be more! I really enjoyed this radio sitcom. it's hilarious and you should buy it now. like now! it is hilarious! since it is season 2 you're familiar with the characters which makes it all the more entertaining. 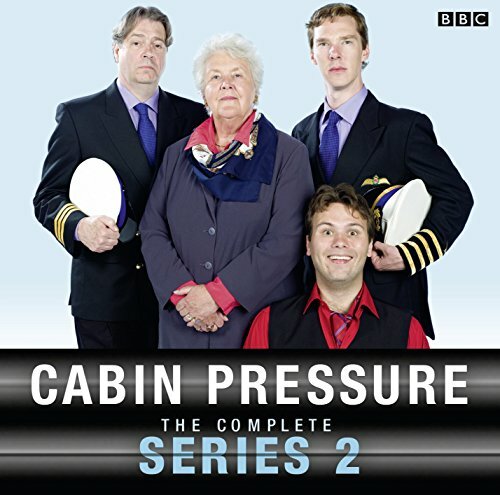 Not as good as series one but it was again funny and very well acted. Looking forward to the next series. Can't be overdosed. Please give us series 3!! !